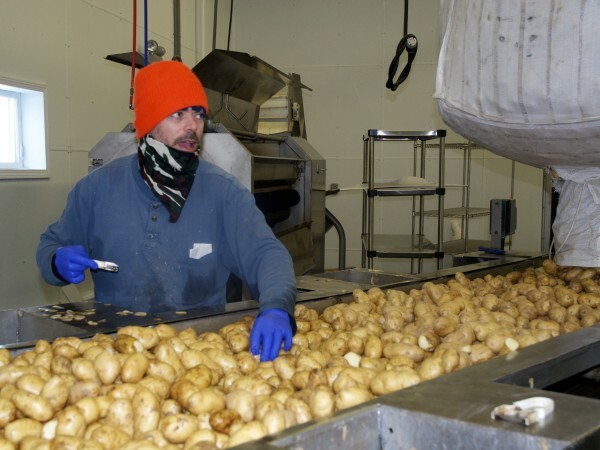 Christopher St. Peter grades and assures quality control of a run of russet potatoes destined to become cooked, frozen potato wedges at Northern Girl. 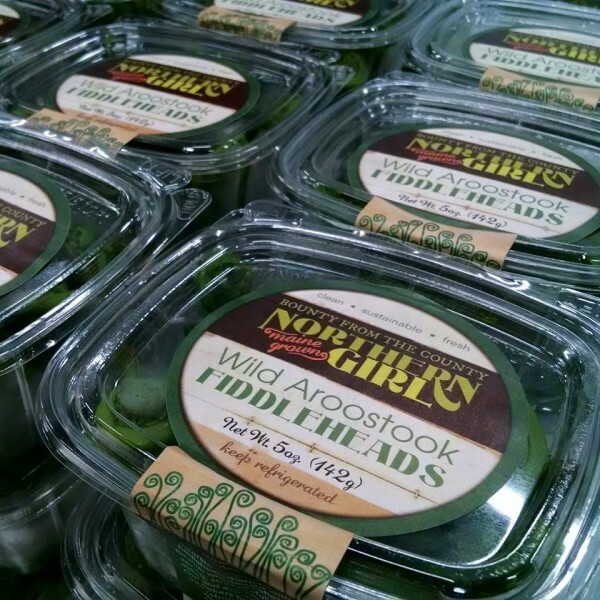 The Van Buren-based local food processor Northern Girl has ceased operations and is looking for a buyer. Northern Girl has been operating since 2011, buying locally-grown conventional and certified organic root vegetables and other crops, and freezing and packaging them into products such as russet wedges and root medleys. Co-founder Marada Cook said that production at the Van Buren facility was suspended on March 1, and that she and other directors are optimistic about a buyer successfully taking and growing the business. Cook said Northern Girl’s financial outlook was impacted in part by a decision by Whole Foods to stop carrying one of the processor’s “bread and butter” product lines, the fresh-cut, packaged root vegetable medley. Cook co-founded Northern Girl with her sister Leah and business partner Chris Hallweaver. The Cooks grew up in Grand Isle, and their late father Jim Cook, an organic farmer, started the Crown O’Maine Organic Cooperative local food distributorship in 1995. Crown O’Maine, now a worker-owned cooperative based out of North Vassalboro, distributed Northern Girl’s products but otherwise is not affected by the suspended production, Cook said. Northern Girl started in 2011 out of kitchen space at the former Loring Air Force Base in Limestone. In 2013, the business moved to a new $1 million, 4,000 square foot kitchen and warehouse space in Van Buren that was built in part with federal grants. The town of Van Buren owns the facility and has leased it to Northern Girl. “The town has been a good partner,” Cook said, adding that another buyer of Northern Girl would also lease the space from the town. Northern Girl helped bring the locally-grown produce year-round to retail and institutional food settings, including Cary Medical Center in Caribou, the local school district in Van Buren and elsewhere in the state. Northern Girl employed six year-round full-time workers and 20 workers during September to May. The company was recently highlighted by the group Farm to Institution New England as an example of a small food company successfully meeting the challenges of food safety regulations.